Warmer summer temperatures and ongoing phosphorus loading from agricultural nutrient runoff has led to a disruptive frequency of blue-green algae blooms in freshwater lakes. 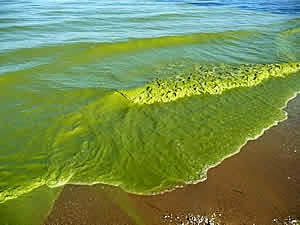 This summer a cyanobacterial bloom in Lake Erie left 400,000 people without drinking water for two days. The dominant organisms of the summer season algal blooms occurring in Lake Erie are microcystins. Microcystis causes skin rashes. If ingested it causes vomiting and liver damage. Microcystis can be fatal if ingested by dogs or other animals. degrade recreational swimming and fishing. 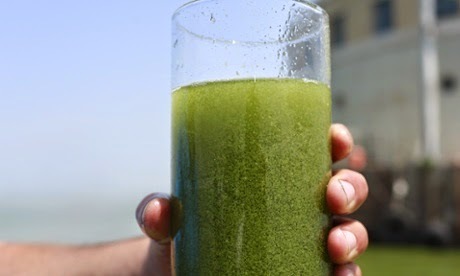 Farming practices and climate change at root of Toledo water pollution, by Suzanne Goldenberg, The Guardian, 3 August 2014. 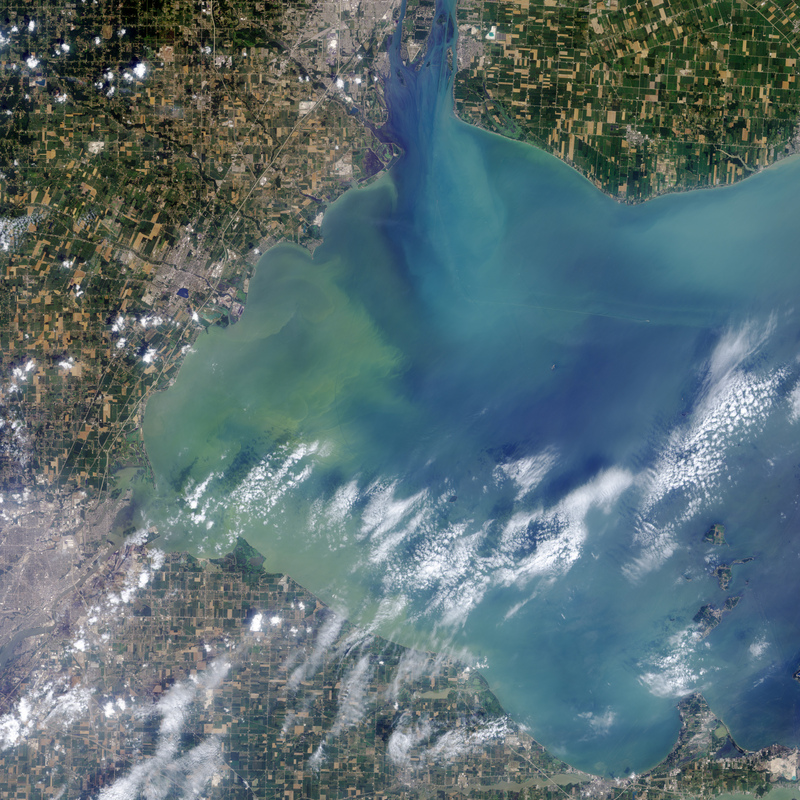 Record-setting algal bloom in Lake Erie caused by agricultural and meteorological trends consistent with expected future conditions, Michalak, A.M., et al., Proceedings of the National Academy of Sciences, Vol. 110 (16), 6448-6452, 2013.